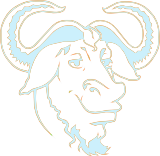 I use GNU software and other GPL licensed software every day. My business depends on it. They are celebrating a birthday this weekend.